These last two days have been like a cultural cocktail that has filled my soul for days to come. Reims is best known for it's Champagne labels, during my stay here I took a tour of one of them (G. H. Mumm) and got to see just how this remarkable wine is made. 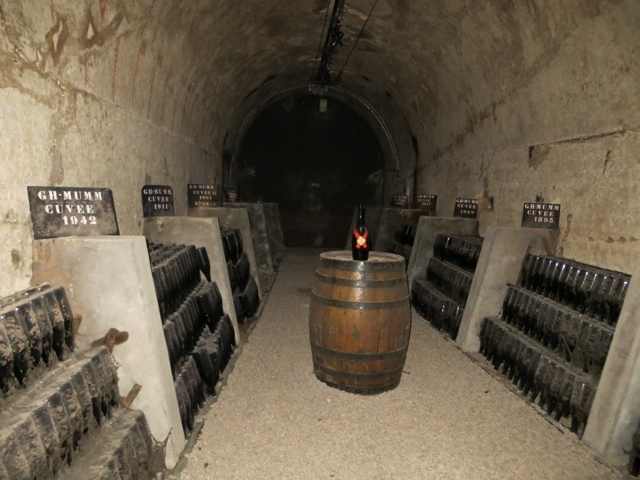 Here is the cellar of wines from exceptional years, the oldest is from 1893! 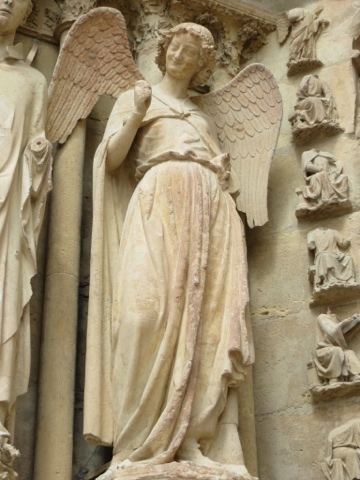 Since the crowning of Clovis in 496AD this city has been the crowing place of most of the monarchs of France at the remarkable Cathedral of Notre Dame. 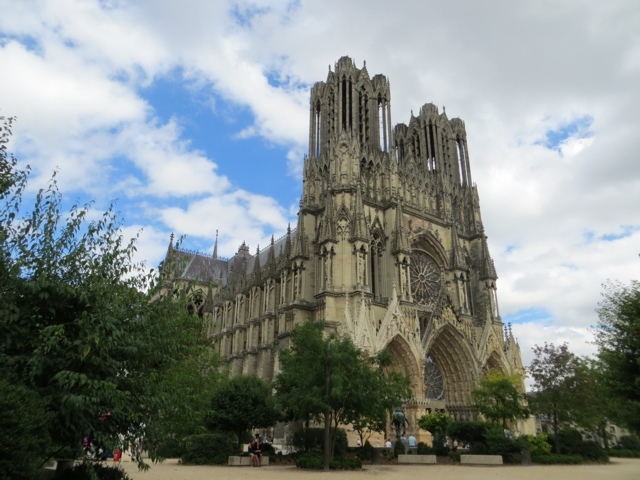 A cathedral has stood on this site since 401, but the present building was begun in 1211 and has survived the French Revolution and both World Wars. 2302 sculptures adorn the building my favourite was The Smiling Angel. 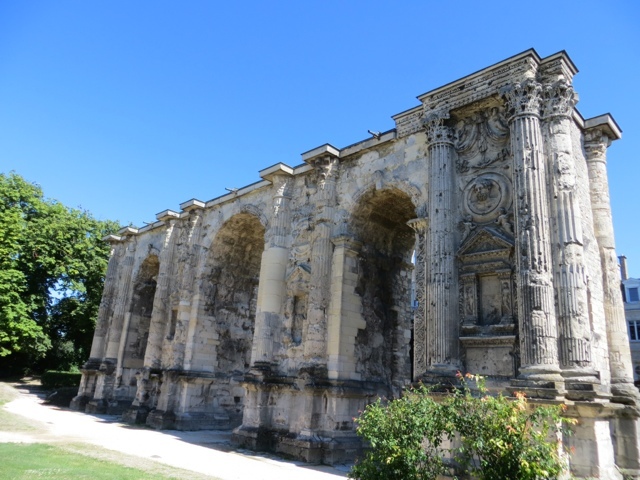 The oldest monument in Reims is the Mars Gate, which has stood here since the 3rd century. This gate was one of the entrances to the city of Durocortorum, which was then the capital of the Roman province of Gallia Belgica.